Practice on Past tenses while we learn how to be a voulnteer and help others. The present downloadable teaching material is best suited for high school students and adults at Pre-intermediate (A2) level. 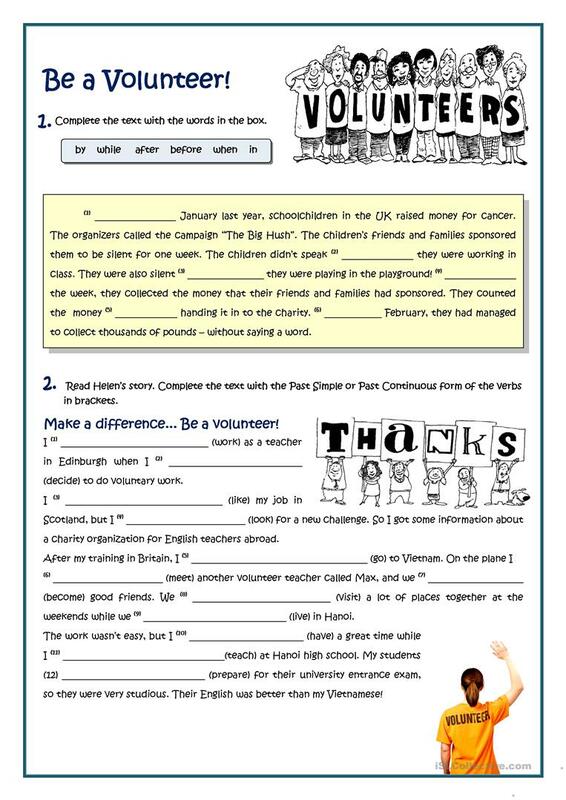 It is a useful material for teaching Past simple & continuous tense in English, and is useful for honing your class' Reading skills. It focuses on the vocabulary topic of People.